Die tief gefallenen Goldminen gingen im Zuge des Goldpreisanstiegs gestern durch die Decke. Es kam zu massiven Short-Eindeckungen. Wir sahen im Hinblick auf die Momentaufnahme jedoch eine typische Bärenmarkt-Rally, die wahrgenommen, jedoch nicht überbewertet werden sollte. Futures contracts in New York with December delivery dates jumped 2% to a high of $1,156 an ounce – gold's best level in a month. After weeks of lacklustre trade ahead of the US Federal Reserve interest rate decision, volumes on Comex shot up to twice the daily average on Thursday with just under 20 million ounces traded. With fundamentals pointing to further upside potential for the metal, gold investors piled into mining stocks in massive volumes. The world's top gold mining stocks gained steadily during the day and traded at their highs at the close on Thursday. Barrick Gold Corp (NYSE:ABX, TSE:ABX) jumped 10.8% with more than 33 million shares changing hands, 12 million more than already high post-Fed interest. The counter was the sixth most actively traded stock on the New York Stock Exchange, attracting more buying interest than the likes of Ford Motor and Citigroup.."
Die starke Rally gestern relativiert sich jedoch auf den 2. Blick. Glencore im freien Fall: Führt Goldman Sachs erneut ein Opfer auf die Schlachtbank? Glencore's (LSE:GLEN) letzte Mammut-Aktionen scheinen den Markt bis dato nicht wirklich zu überzeugen. Der brutale Aktienverfall (inkl. CDS blowout siehe unten) beim größten Rohstoffhändler der Welt spiegelt bereits klare Insolvenzrisiken wider. Seit geraumer Zeit kommen im Hinblick auf Glencore's extremen Leverage und die fragile Bilanz- und Finanzlage (inkl. Kredit-Ratings) alte Geschichten und neue Gerüchte auf. Jetzt ist auch die allmächtige Finanzkrake Goldman Sachs in der schäumenden Gerüchteküche wieder ganz vorne mit dabei..
Is Goldman Preparing To Sacrifice The Next "Lehman"
One of the more "unmentionable" conspiracy theories surrounding the demise of Lehman Brothers in 2008 is that this "shocking" event was in fact a well-choreographed and carefully scripted "controlled demolition", with the Lehman Bankruptcy - the event that officially unleashed the Great Financial Crisis - getting the express prior permission of both Ben Bernanke and Hank Paulson, a former Goldman employee, whose motive was the elimination of the one firm that was then Goldman's biggest competitor in the FICC space, and whose subsequent bailout of his former employer (Goldman Sachs and all other insolvent banks) would lead to the preservation of trillions in worthless equity courtesy of the biggest taxpayer funded bailout in history, and with billions in excess reserves parked on Goldman's balance sheet smoothing the bank's transition through a historic recession. 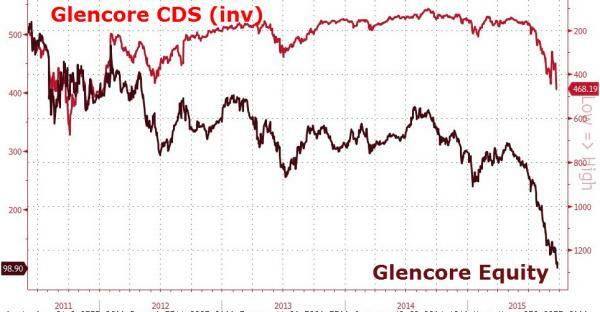 Therefore we were not surprised earlier today to see Glencore stock crash to a new record low below 100p even as the CDS blow out continued..
Cordoba Minerals: Wie kam der Kolumbien-Explorer zu einem Deal mit dem legendären Mining-Investor Robert Friedland? Strategic investments that bring technical and human expertise as well as capital propel new discoveries. And Cordoba Minerals Corp. (TSX-V: CDB) recently nailed those objectives through an earn-in agreement with Robert Friedland’s HPX Minerals — and it all started with an elevator pitch, literally..
Burkina Faso: Ziehen sich die Putschisten zurück und geben die Macht wieder ab? Die aktuelle Lage in Burkina Faso - laut BBC. Wichtig u.a. für Nordgold, Iamgold, True Gold Mining, Roxgold und Orezone. Burkina Faso's army has reached the capital Ouagadougou to seek the surrender of the presidential guard who staged a coup last Thursday. Negotiations between army chiefs and the presidential guard are under way, security sources said. Coup leader Gen Gilbert Diendere told the BBC he is ready to hand back power, but only once a plan to end the crisis was backed by regional leaders. They arrested interim President Michel Kafando last Wednesday, installing Gen Diendere as new leader the following day. Since then at least 10 people have been killed and more than 100 injured in clashes. France's ambassador to Burkina Faso, Gilles Thibault, tweeted that Mr Kafando has been released from house arrest and was now at the ambassador's residence.. Die Schrumpfkur beim weltgrößten Goldproduzenten Barrick Gold (NYE:ABX) geht in die nächste Runde. Newmont Mining (NYSE:NEM) (TSX:NMC) and Kinross Gold (TSX:K) (NYSE:KGC) are likely to buy a package of six U.S. gold assets that Barrick Gold (TSX, NYSE:ABX) is trying to sell, an investment banking source told Reuters. The president of the world’s largest bullion producer, Kelvin Dushnisky, only said he expected the imminent deal to close before the end of the year, but declined to put a value on the asset package, which includes Bald Mountain, Round Mountain, Spring Valley, Ruby Hill, Hilltop and Golden Sunlight assets. 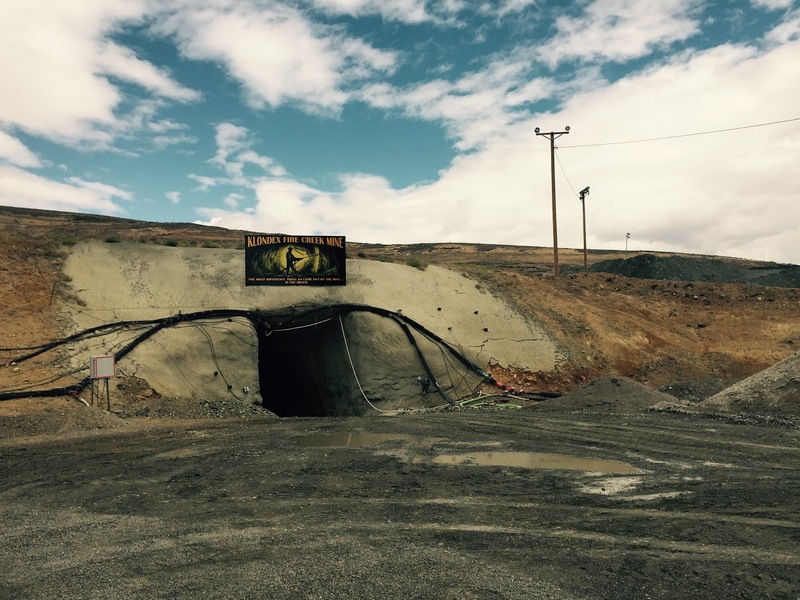 According to analysts and investment bankers, however, the mines up for sale could bring in between $500 million and $700 million. The amount will be used towards Barrick’s goal of raising at least $3 billion this year to reduce its $12.9 billion debt. In an interview ahead of this week’s Denver Gold Forum, Dushnisky told Bloomberg that Barrick is already 90% through its debt-reduction plan. 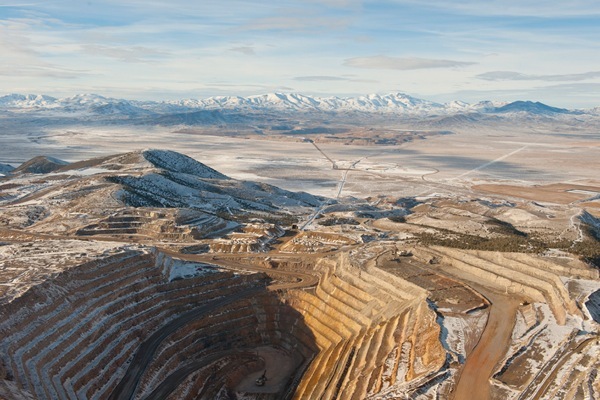 Last week, the Toronto-based miner announced the closing of its Salt Lake City office, which along with the unwinding of its copper business will help Barrick save US$2 billion by the end of 2016. After supporting the Barrick’s core Nevada operations for nearly two decades, the Salt Lake office, which employs about 110 staff, will close in November. It follows the shutdown of Barrick’s Perth bureau and job cuts in its Santiago office. The firm’s standalone copper unit, established after the firm bought pure copper company Equinox Minerals in 2011, will no longer be a distinct division within Barrick. The copper unit’s managers and staff will be laid off and the overhead expenses related to the separate business will be cut. Barrick’s stock is trading around Cdn$9 a share, a low not seen since 1989. Guten "Morgen" aus dem heißen Nevada. Hatte eine herausragende Konferenz im wunderschönen Beaver Creek. 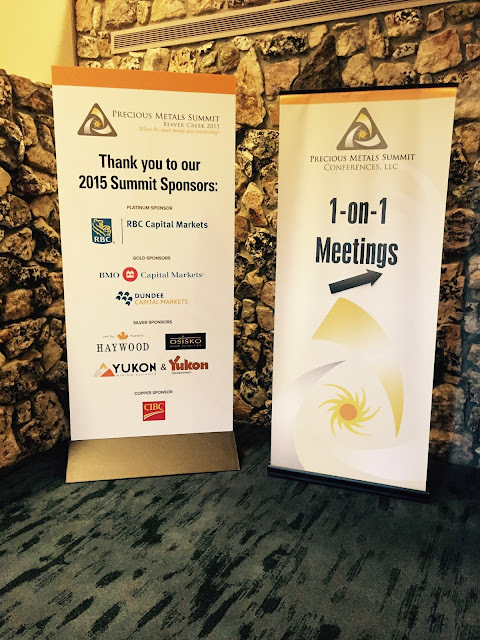 Der Precious Metals Summit 2015 in Colorado hat sich in allen Belangen gelohnt. Meine 3 Konferenz-Tage waren bis zum Limit ausgelastet (#nosleep). 34 Meetings mit Firmen-Verantwortlichen (only 1-on-1 is king) und eine großartige Networking-Plattform führten in einer exzellenten Atmosphäre zu einem zielführenden Business-Event. Auch in diesem schwerwiegenden Bärenmarkt. Die Spreu trennt sich wie erwartet weiter vom Weizen. Die Qualität der anwesenden Leute und Firmen auf dem Top-Event sprachen definitiv für sich. Danke an dieser Stelle an das PMS-Team. Ein paar Company Updates stelle ich hier in den nächsten Tagen ein. Exklusive Berichte gibt es im RoA-Börsenbrief von VNR. Hier können Sie übrigens die Webcasts vom Summit einsehen. In wenigen Stunden startet dann auch gleich die nächste Top-Konferenz in Denver. 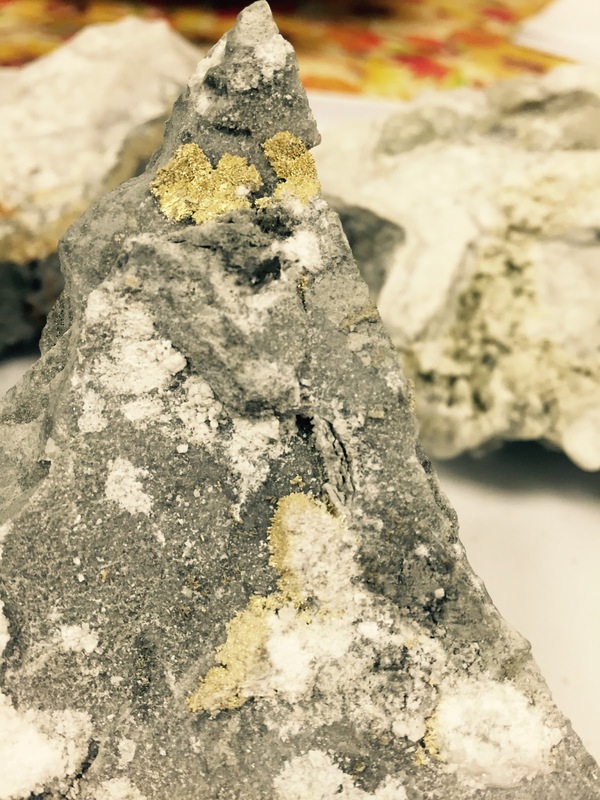 Hier noch ein kleiner Einblick in die erstklassige Minenbesichtigungen vom erfolgreichen Goldproduzenten Klondex Mines (TSX:KDX) in Nevada. Der ausführliche Site Visit Report folgt in Kürze.